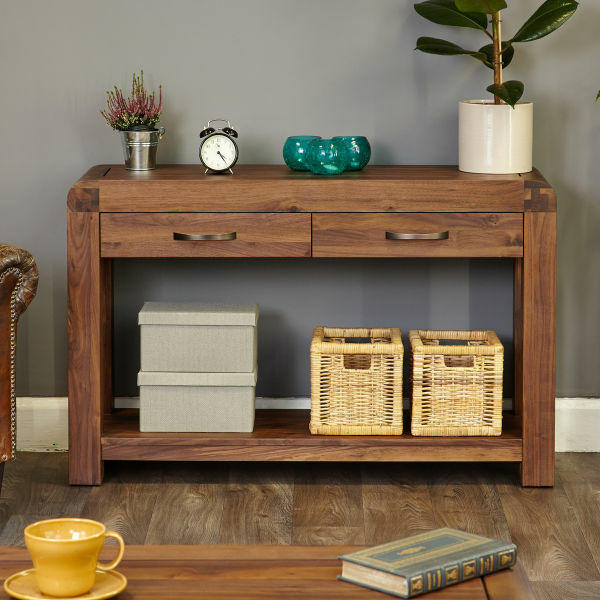 Bring an urban loft living feel into your hallway with this stunning console table. 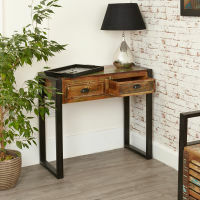 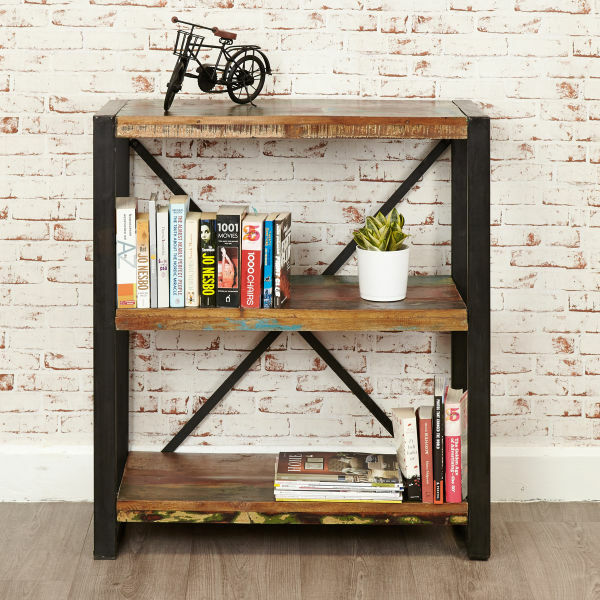 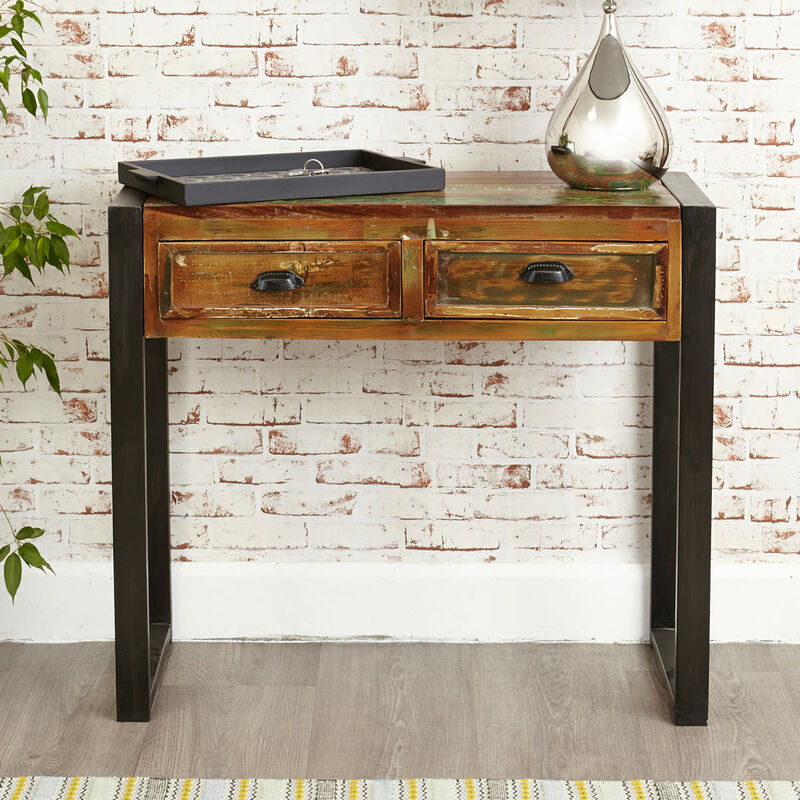 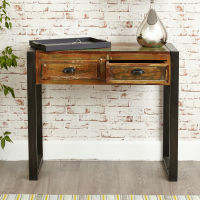 The Urban Chic console table features dark metal outer leg frames which highlight the individual colour and character of the reclaimed timber that’s been used in this individual piece of furniture. 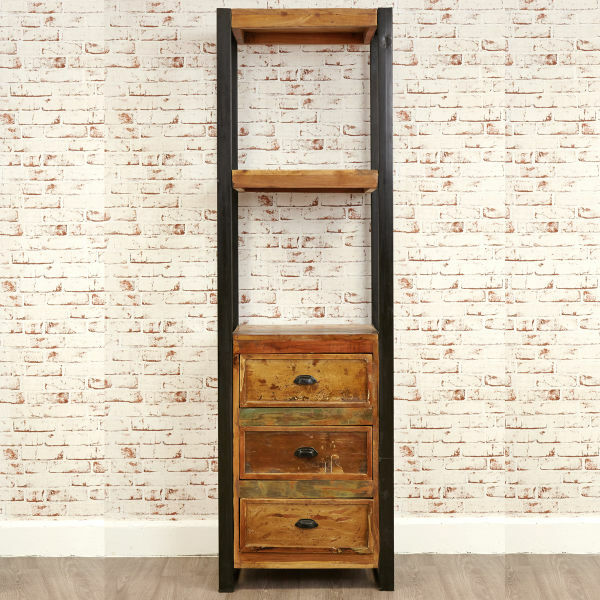 The table has two drawers which are beautifully finished with iron cup handles. 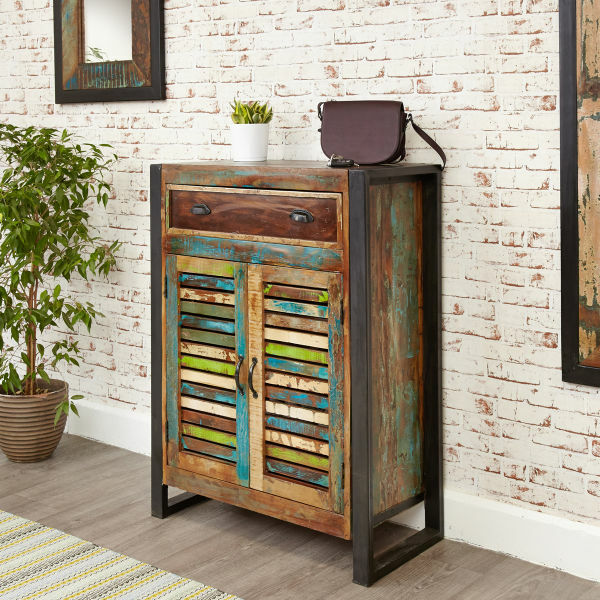 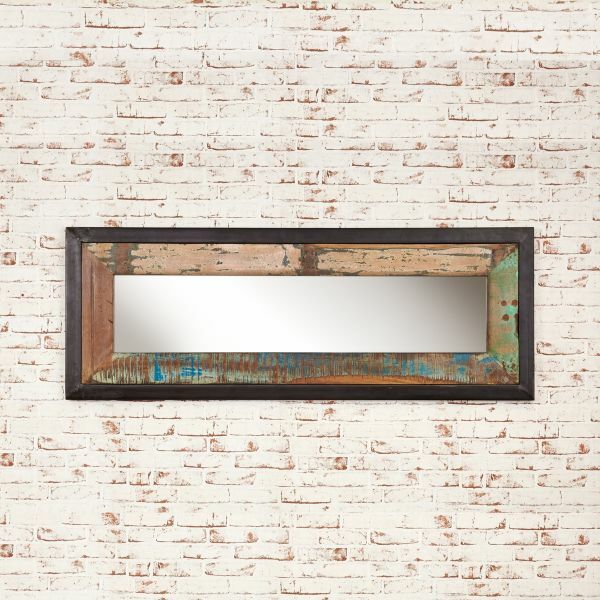 The Urban Chic hallway range includes co-ordinating mirrors and shoe cupboards.